For 18 months Tuthill Porsche prepared for the toughest rally in the world; the East African Safari Classic. 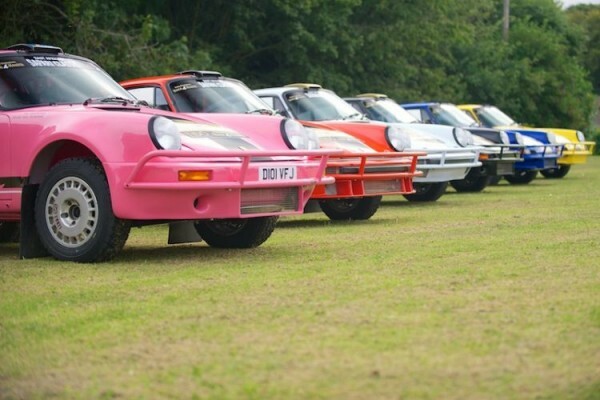 Starting with a staggering lineup of 17 Porsche 911 rally cars the British firm attacked the race with a team led by two former World Rally champions (Björn Waldegård and Stig Blomqvist) and a team of over 120 people. For nine days they raced over 1,700 kilometers (1,050 miles). The course takes competitors through Kenya and Tanzania, across deserts and jungle, over rocks and past wildlife. It's a rally that is known to kill cars. In the two minute video that follows below, Tuthill Porsche showcases its nine-day battle for victory and teases a full-length documentary to come available on the 10th of February 2014 via their YouTube channel. The full edit will follow the team’s 18-month preparation ahead of the event, and includes exclusive behind the scene footage, in-car action and interviews with the team. We'll have it for you as soon as it's available.